ISRO launched 21 satellites in the year of 2015. Out of 21 satellites, 17 were launched for foreign countries and 4 launched for domestic purpose. 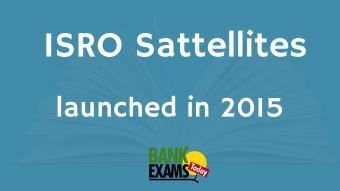 ISRO launched 4 domestic satellites in the year 2015.